Your knees hurt. You can’t get out of bed as easily as you once did. Walking can be painful and difficult, maybe even impossible at times. You’re losing mobility. Maybe you’re gaining weight as a result. Perhaps you have high blood pressure, depression, or heart disease. These illnesses may be related to your weight. The good news is that you can be on your way to less pain and better health by following a few simple steps. And none of them require you to join a gym! Movement doesn’t always mean exercise in the conventional sense. 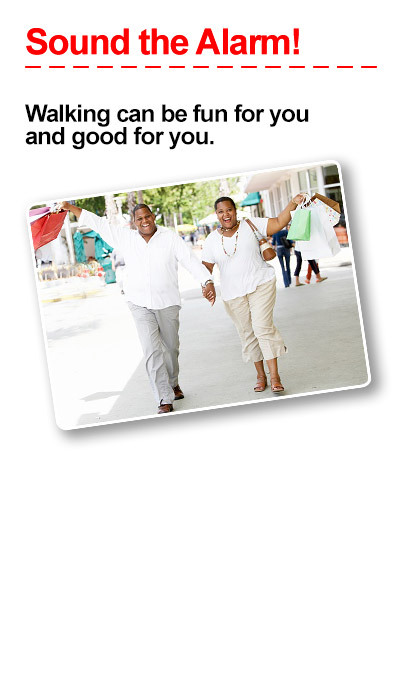 For you, exercise might mean walking one lap around your yard or dancing with your spouse. Start small and increase distance or intensity as you get more comfortable. Contrary to what you might think, movement may help reduce joint pain. 2. Do it with a friend. A walking group or fitness partner can help hold you accountable, get you out when you’re feeling down or tired, and help you go farther or do more. 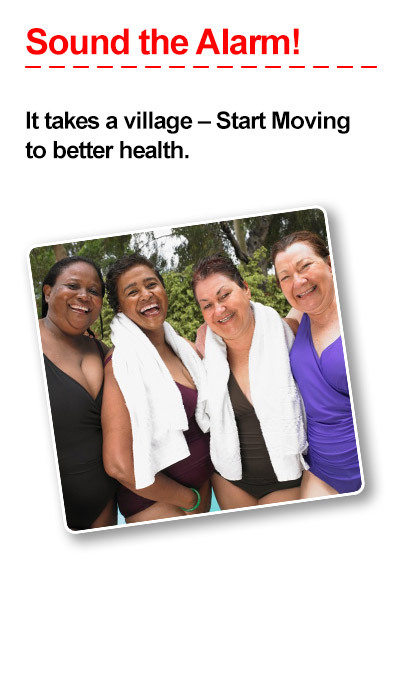 Ask about fitness groups at your church, work, or physician’s office. 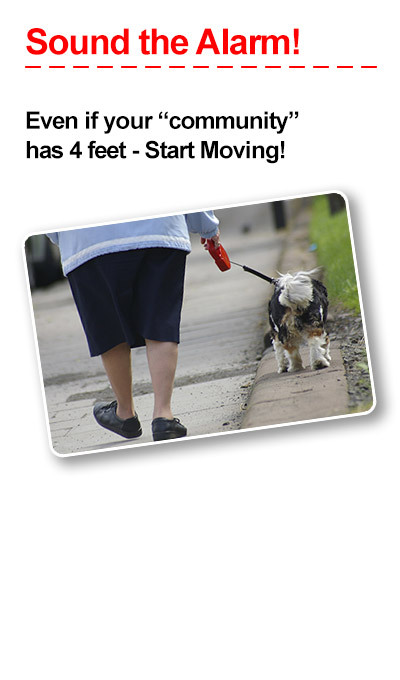 A child, family member, or even a pet can be a great fitness partner if you don’t have a walking group in your area. 3. Track and share your progress. Keep a log of your activities—everything from dancing to walking to stretching counts. Write down how far or how long you went, how you felt, and anything else noteworthy. It is important to measure distance and/or time so you can increase or decrease your movement based on how you feel. At the end of the week, share your progress with your fitness partner. 4. Make time for fitness. Make time for movement every day, without thinking about it. Park farther away from the grocery store. Take the stairs instead of the elevator. Walk to work if you can. Make fitness part of your everyday life so it doesn’t feel like another chore. Your dog will thank you. It is important to check with your doctor or other healthcare provider if you are in pain. 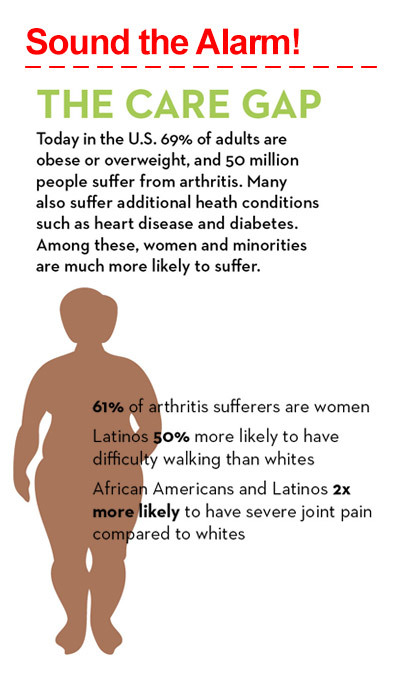 Lack of mobility can lead to other health problems such as obesity, heart disease, and diabetes. Be sure to discuss all your symptoms with your healthcare provider—and don’t forget to talk about strategies for increasing your mobility. MYTH: If you want to lose weight and get fit, you need to join a gym. FACT: You can lose weight by walking in your backyard, your home, or your neighborhood. Simple stretching, like touching your toes, contributes to weight loss, too. While a gym does have equipment and resources to help you toward your fitness goals, it is not necessary for overall health. MYTH: Exercise will make your joint pain worse. FACT: When you’re in pain, the last thing you want to do is get up and move. But, regular moderate exercise can actually be an effective therapy to ease joint pain and stiffness. MYTH: I eat right, so my joints are healthy. FACT: While good nutrition is an important part of your overall health, it does not directly contribute to healthy joints. Regular movement is the only way to ensure your joints stay healthy. 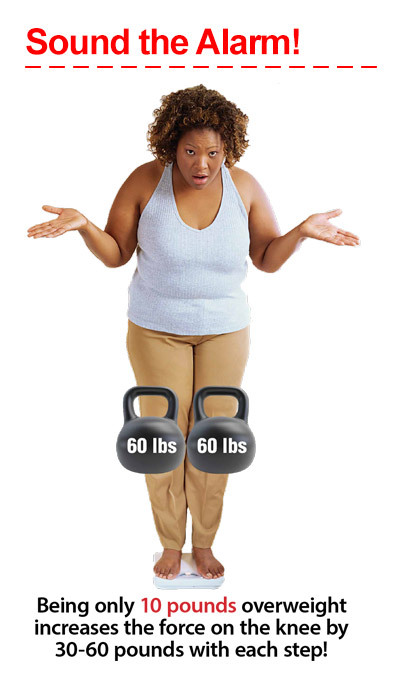 MYTH: You should exercise alone, so you can go at your own pace. FACT: While your physical abilities and limitations are unique, finding a fitness partner or walking buddy can greatly increase the success of your weight loss and overall health efforts.